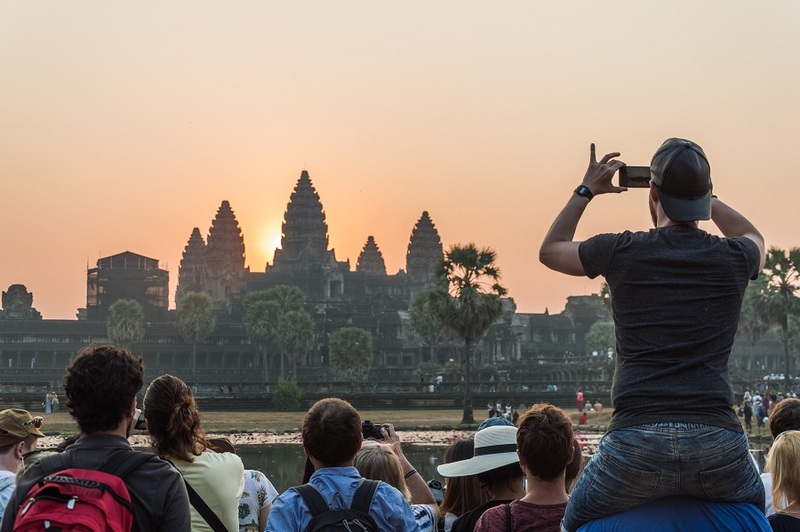 Sunrise at Angkor Wat has turned into one of the world’s most iconic, exotic travel images. 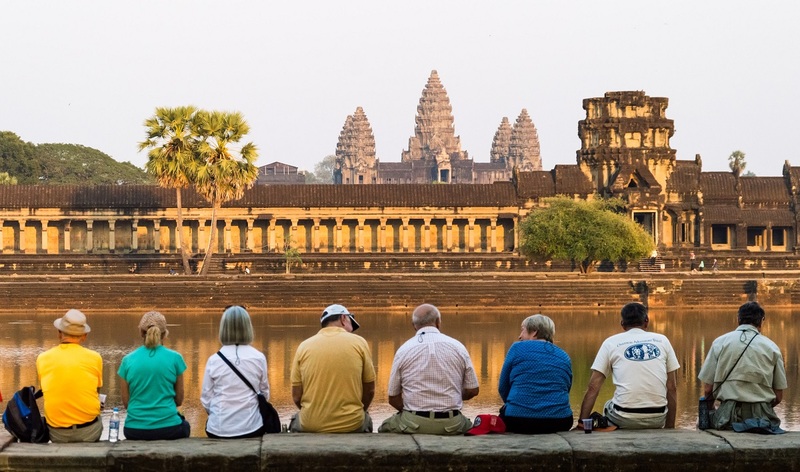 As such, you shouldn’t be surprised to learn that on the day you have chosen to visit the Cambodian temple complex, you may be sharing the view with as many as 6,000 other people. This makes the ambiance quite tense at times, especially when you add the dust, the heat, and the competition for the best photo spots. That said, there are still a few ways to enjoy the Angkor Temples without every other man and his dog. Here are a few hacks and tricks to help you beat the crowds and skip the lines. 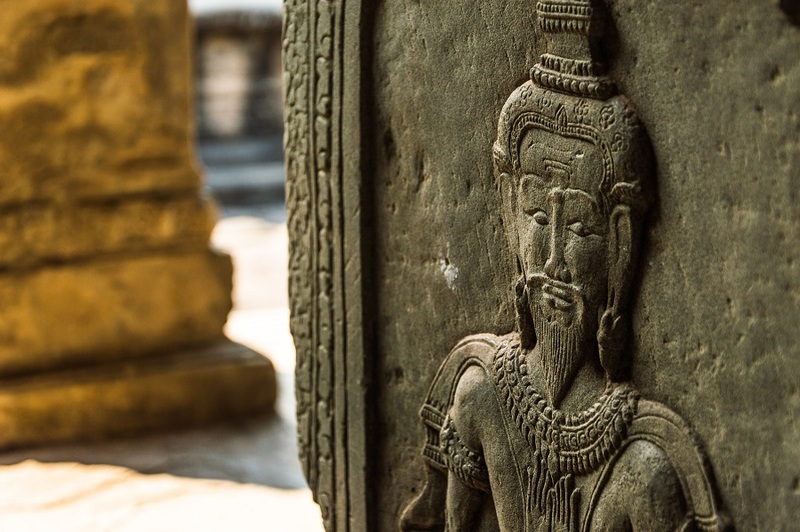 If you arrive in Siem Reap in the afternoon, buy your tickets valid from the next day. Make sure you know the correct location of the office – it was changed in 2016 and is now quite far from the Angkor Complex itself. The office is open from 5 am to 5:30 pm, but the lines in the morning are chaotic from as early as 4:30, as all the last-minute tourists try to make it in time for sunrise. Tickets can be valid for one, three or seven days, so plan your sunrise and sunset tours carefully. 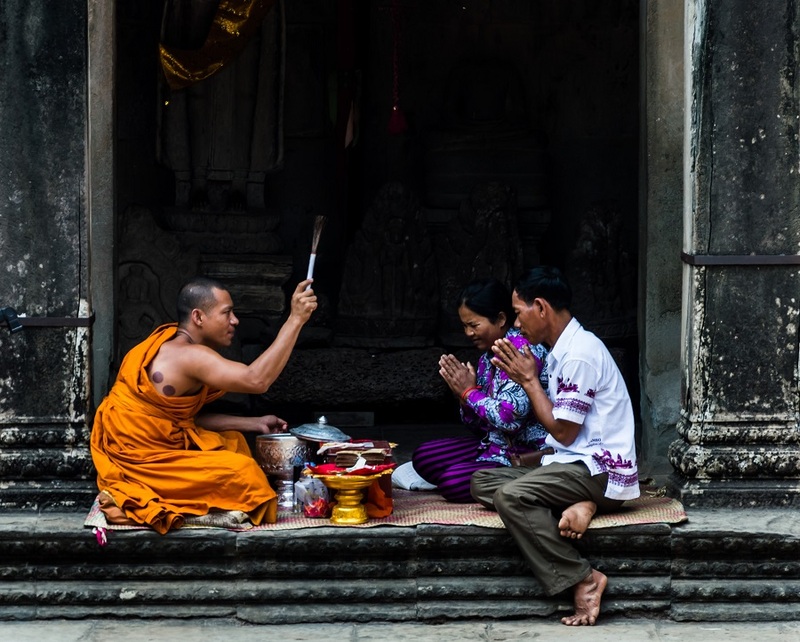 On the first day, you are incredibly excited to see as much as possible, but then the sightseeing fatigue sets in and just a few hours later you realize you don’t want to see another temple for the rest of your life. This is a common mistake many visitors make. To avoid it, get a three-day or seven-day ticket and explore the Angkor Archaeological Park in small portions. Thus, if you’d planned to see Angkor Thom today but then realize that it’s full of people, you can leave it for tomorrow and move on to your next destination. It’s a good idea to mark the temples you’ve already visited in some way (on your map or your app) because, at some point, it’s impossible to keep track. Everyone arrives before sunrise at Angkor, and while this would usually be a wise tip, waking up early is of no help here. The best times to explore the archaeological site are early morning and late afternoon, because the heat is unbearable at noon. Assuming you have already seen the sunrise at Angkor Wat, begin the rest of your days by entering from the small East Gate instead of the main West Gate. This will give you the chance to enjoy the temples on this side of the archaeological park without being surrounded by hordes of tourists. No selfie sticks, no elbow-pushing, no vendors. The three main attractions at Angkor are Angkor Wat, Angkor Thom (featuring the huge Bayon Temple), and Ta Prohm (the filming location from Tomb Raider). This is where the biggest crowds concentrate. If someone has just one day at Angkor, they will visit these three locations. 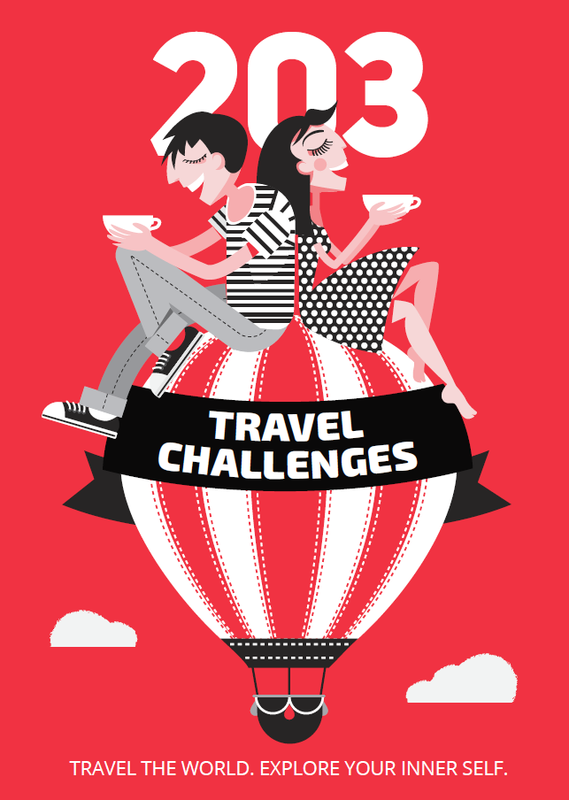 The logical order of visiting these areas is: 1. Angkor Wat 2. Angkor Thom and 3. Ta Prohm. You can outsmart the crowds and avoid big groups by acting counter-intuitively and starting from the bottom of the list. 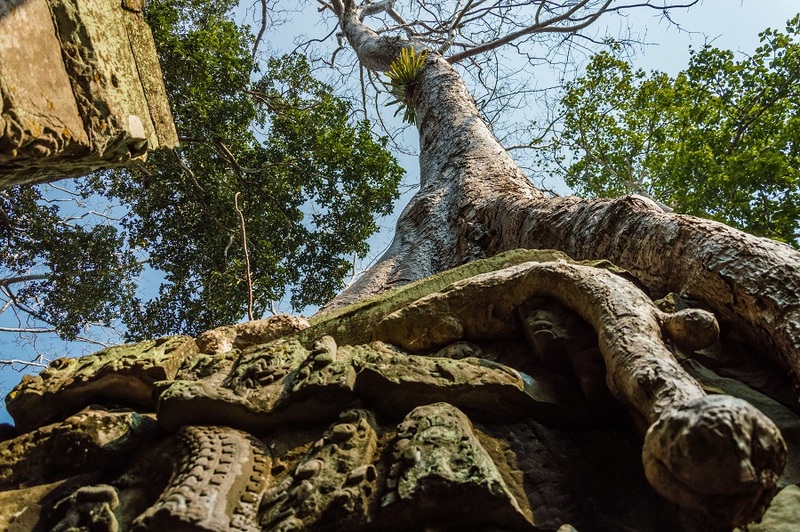 For example Ta Keo – between Angkor Thom and Ta Prohm – is a ghost temple in the early morning. 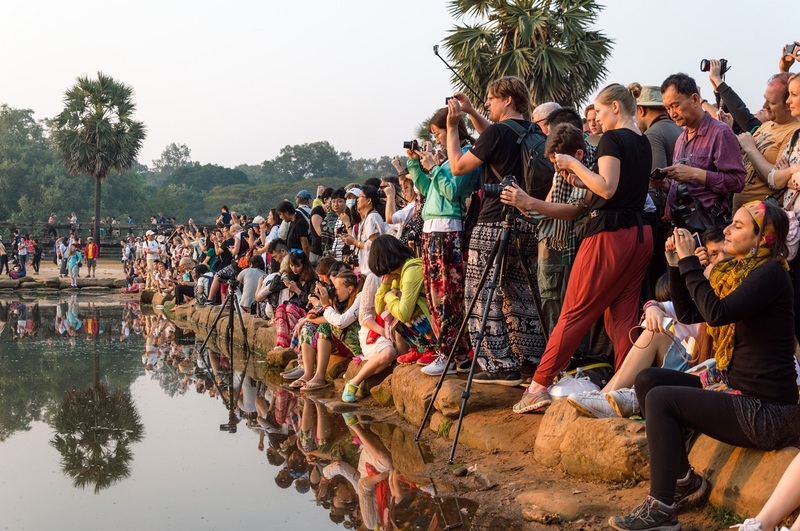 Everyone wants to see the sunrise at Angkor Wat, but the sight of the hundreds of visitors competing for the best photo spot in the mud by the bank of the pond in front of the temple may be heartbreaking. Accept it. Just like you, everyone wants to experience something they have seen in all those amazing photos. Be patient and tolerant. The same goes for the sunset at Phnom Bakheng and for climbing the Central Angkor Wat Tower, where only 100 people a day are granted access.